Les Neish Signature Line. 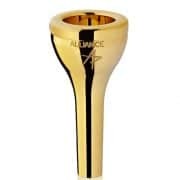 A new tuba mouthpiece by the star tubist Les Neish. The heavy outside shape enhances projection, sound and clarity. Comparison: Similar to a Denis Wick 3L, but with a heavier, streamlined shape. 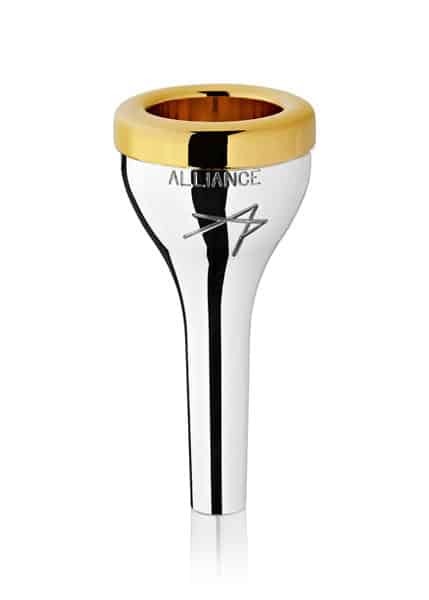 The ‘LN Alliance’ Mouthpiece resembles many of the good features of my mouthpiece of choice for many years – the Vincent Bach 24AW, including having the same cup diameters of 31.25mm and similar depths. 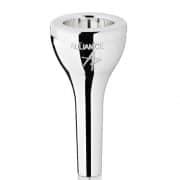 This is certainly a versatile mouthpiece that could cope in many settings – I personally would feel comfortable using it in a band, in an orchestra in a chamber ensemble or for solos on E flat tuba. 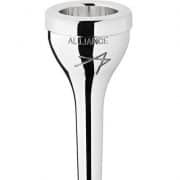 Overall, this is an extremely well-presented, versatile and comfortable mouthpiece with a great quality finish and a very streamlined look, which lays in the same price bracket as many other leading tuba mouthpieces.